A three-time finalist for the National Magazine Awards, Good is a diverse enterprise with a printed magazine, a Web platform, and a convener of events. 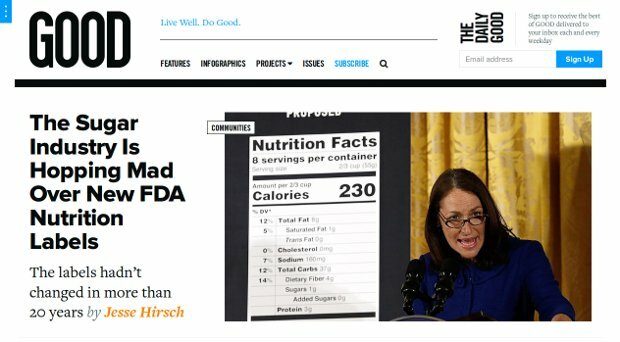 With the tagline, “For People Who Give a Damn,” Good has become a catalyst for more socially engaged thinking around issues of health, food, the environment, and design. GOOD is an online place to share creative solutions for living well and doing good. GOOD Magazine is the quarterly, print periodical of GOOD Worldwide chronicles and champions the emerging identity of the global citizen and creative changemaker. GOODcorps is GOOD’s social innovation consultancy, partnering with intrapreneurs to imagine bold opportunities that align metrics with social impact.